It's time for a cover reveal. 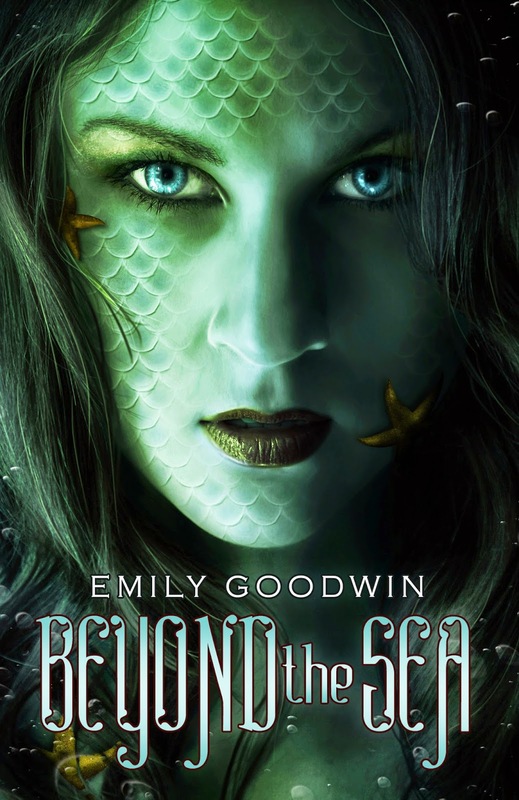 Feast your eyes on the new cover for BEYOND THE SEA by Emily Goodwin! Beyond the Sea (Beyond the Sea #1) by Emily Goodwin. After the brutal and mysterious murder of her sister, Melia is forced to leave her life as a merrow and live on land, pretending to be human. Feeling very much like a fish out of water, Melia struggles to fit in and to accept that the Pacific Ocean she loves so much may never again be her home. Melia is unable to hide her fins from outsider Jamie Forester, who possess the gift to see into the Otherworld. Jamie—and everyone she knows—views her ability as a curse, isolating her from the rest of society. Melia sees the curse as a gift…and a way to find out what really happened to her sister. Eighteen year old Peter Anderson thinks college is the most extraordinary thing that will ever happen to him, until he meets Melia. He is immediately bewitched by her beauty and spirit, sensing but not seeing that there is more to her than meets the eye. Caught up in Peter’s affection and human affairs, Melia is too distracted to notice the darklings surfacing from the depths of the ocean. It isn’t until a body is found that Melia realizes parts of her old life have come back…with a vengeance. My thoughts: Isn't that cover absolutely GORGEOUS? I love the colors and textures and the intensity of her eyes. I agree! It's absolutely gorgeous.